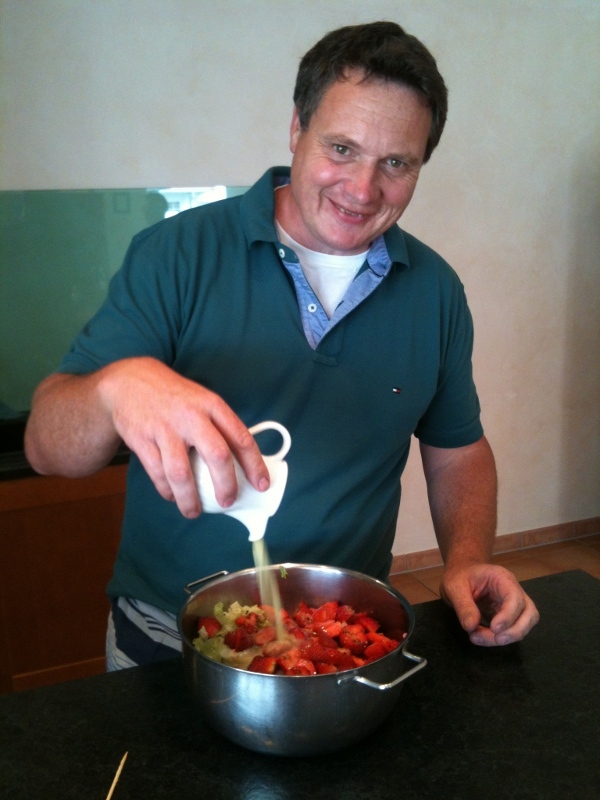 Johannes Leitz ebulliently came out to greet us as we pulled up to the family home in the town of Rudesheim am Rhein, with lots of smiles and handshakes, he ushered us into the open kitchen/den where we were to have our winetasting. I was a bit surprised when Johannes disappeared and then reappeared with salad ingredients and began to prepare our lunch. I’ve never had a winemaker make lunch right in front of my eyes but Johannes is a man of many talents. 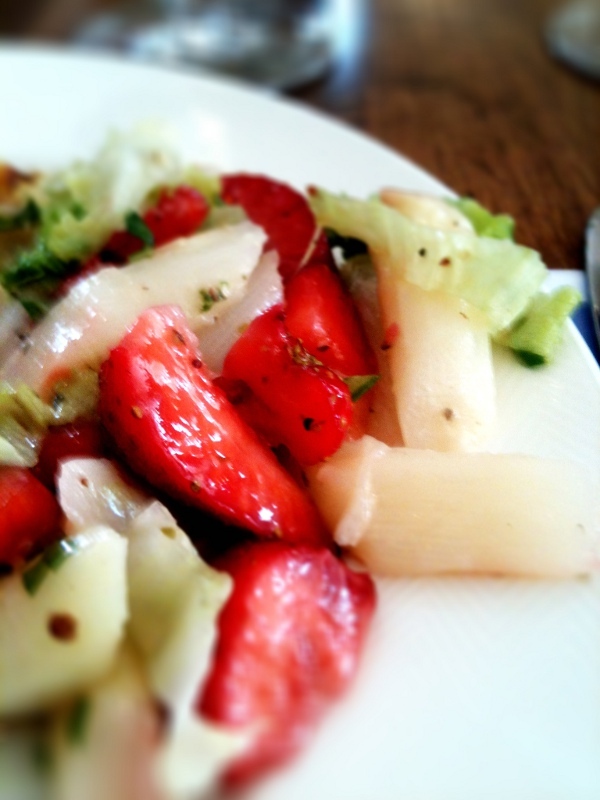 A bright, fresh and surprising white asparagus and strawberry salad with citrus dressing was an amazing combination of flavours – I was a bit dubious but it was an explosion of flavour. That was followed with a Thai coconut curry soup with prawn paired with the 2009 Rudesheimer Burg Rottland spatlese. The sweetness of the soup was countered by the acidity and balance of the wine, a great match. It’s commonly asserted that riesling goes well with Asian food and this was a prime example of the cuisine and wine working together. But wait, there was more! 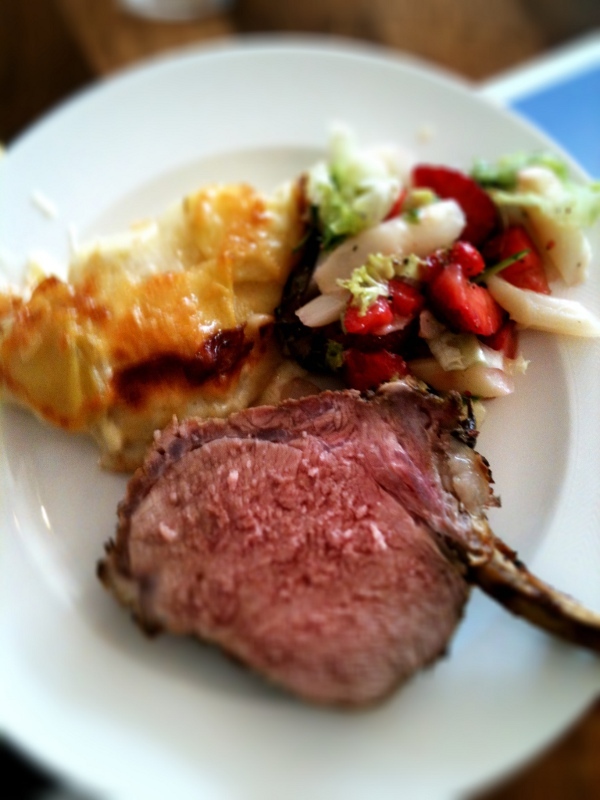 Johannes brought out a rack of lamb with potato dauphinoise. 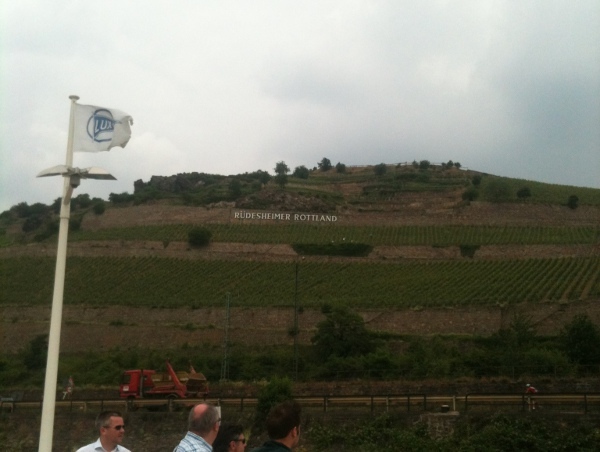 Johannes gave us 2 wines to pair with that –2011 Rudesheimer Berg Schlossberg and the 2010 Rudesheimer Drachenstein Auslese. Johannes believes his wines are all about the terroir and the land certainly comes through in these wines. You can almost taste the stones while you drink the wine, beautifully structured, deep and intense with excellent minerality. Johannes told us a bit of the vineyard history over lunch. The Leitz family has been making wine since at least 1744 but it wasn’t until after WW II that his grandfather rebuilt the winery. Johannes’ father took over the winery later but died suddenly in 1966, leaving the vineyard to his wife who had her hands full with a flowershop, family and vineyard to run. 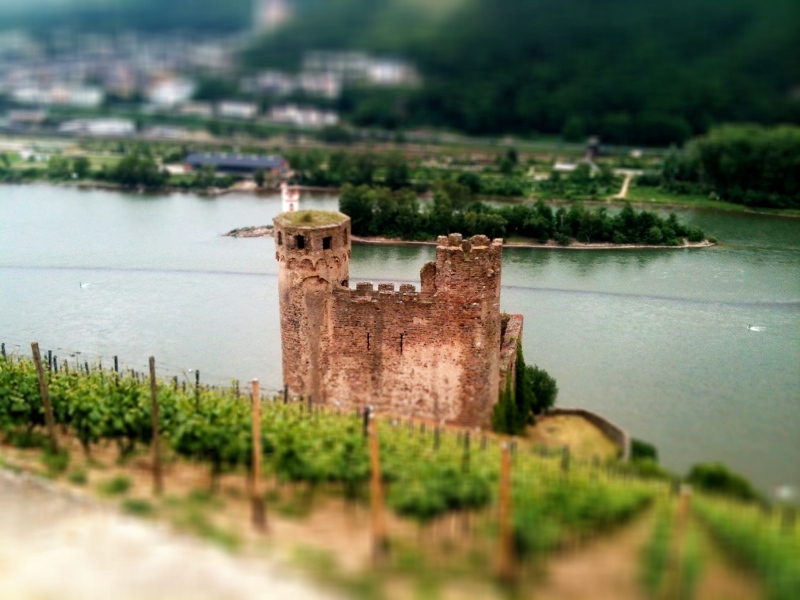 It wasn’t until 1985 that Johannes took over the winery and began to rebuild it. Since then, he has grown the estate from 2.9 hectares to over 40 and a major acquisition was the VDP accredited Erbsloh winery which brought 6 hectares of excellent land. 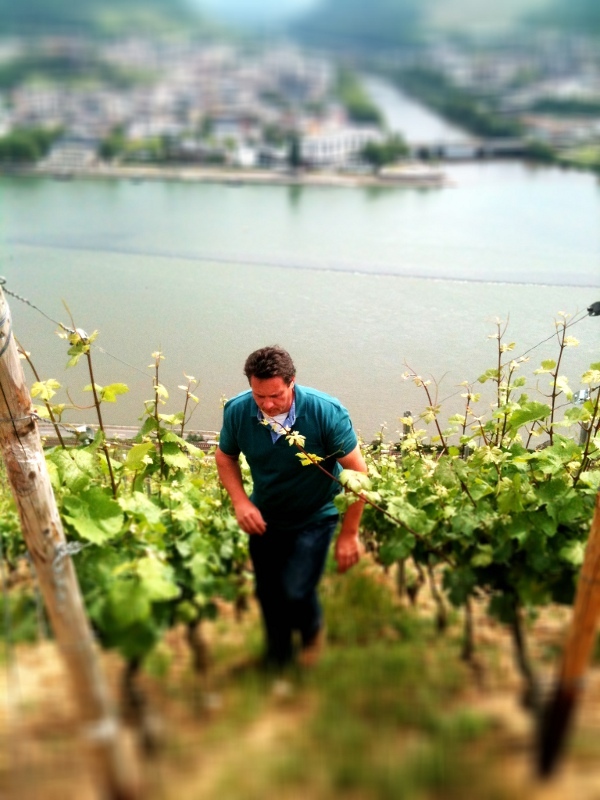 Johannes believes in staying close to his roots and has restricted his winemaking to the noble grape, riesling. 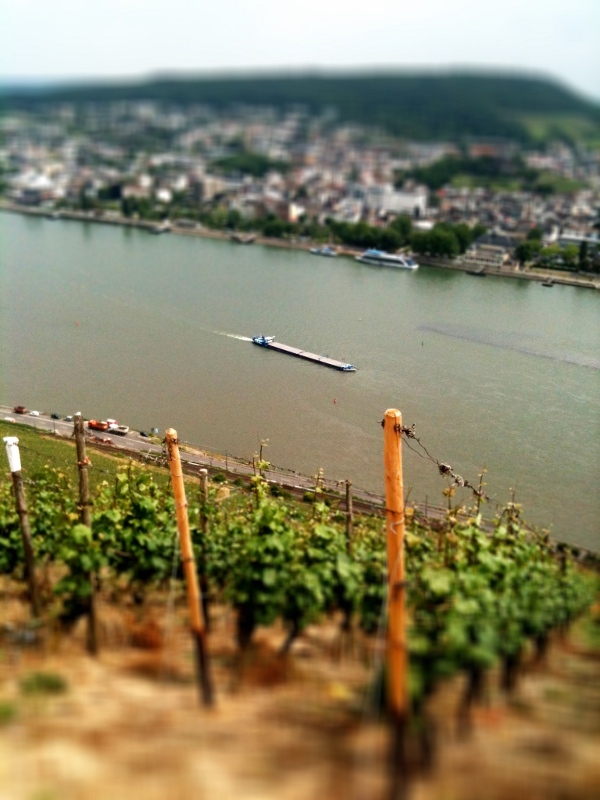 Almost all of the Leitz vineyards are in the Rudesheimer slopes which are south facing along the Rhein river. 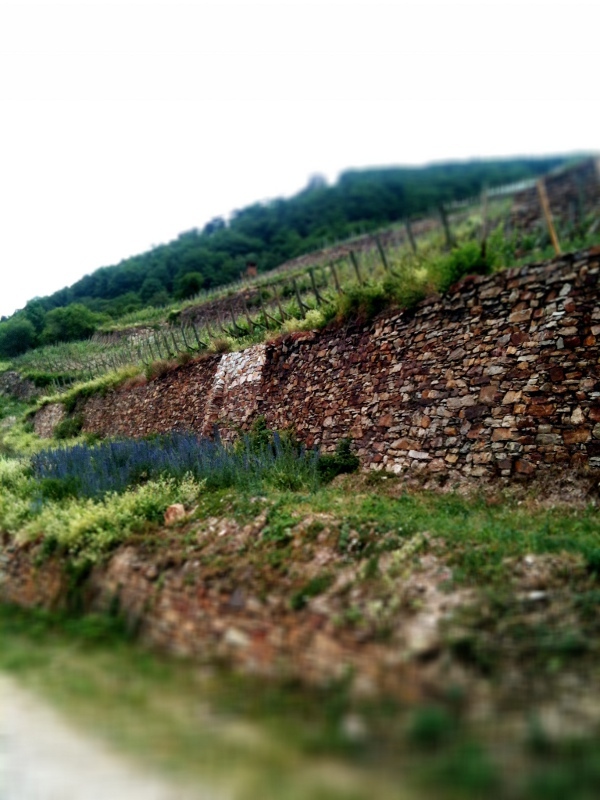 Johannes believes this area produces the best rieslings and the terroir of the land is perfectly suited for his wines. Most of his grapes come from the Grand Cru and Premier Cru vineyards and the soils are a variety of red slate with quartzite, grey slate, quartizite, and sandy loess, loam & clay. All of which give pure, structured, mineral wines. 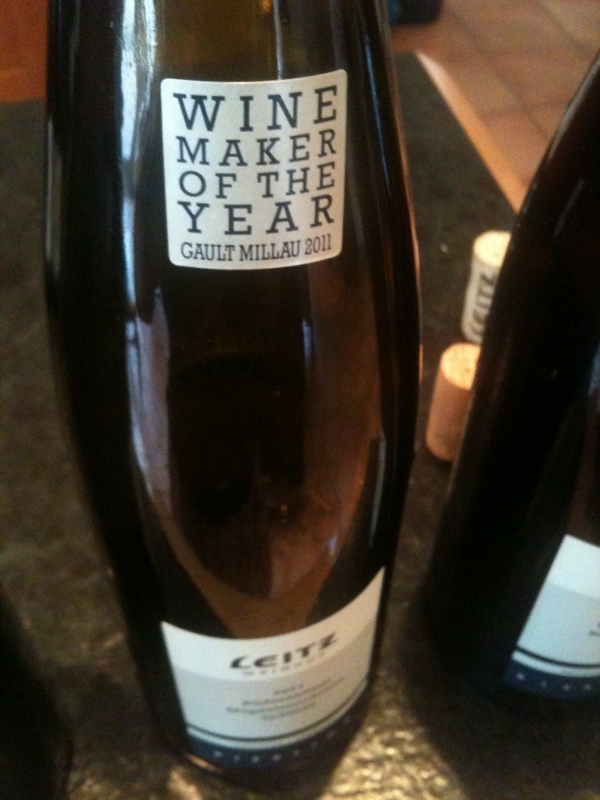 We were there to taste his wines as part of a trip I took recently with Awin Barratt Siegel Wine Agencies. 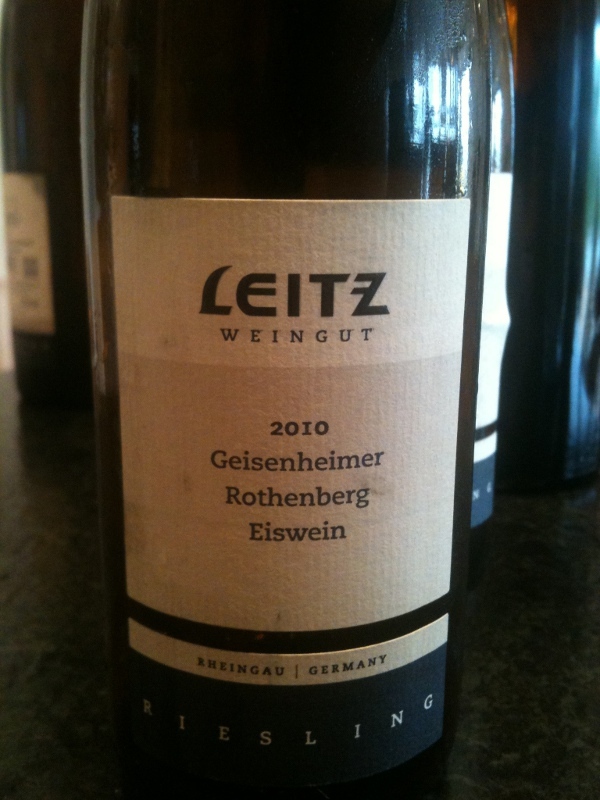 They import Leitz wines and all prices are approximate in the UK. 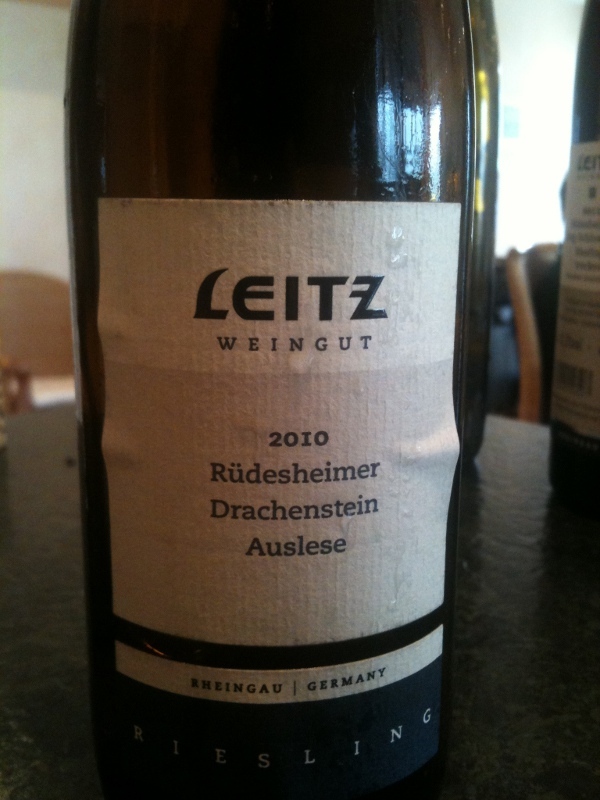 July was designated “31 days of Riesling” but I say, why restrict yourself to 31 days a year, especially when you have producers like Johannes Leitz making some cracking German rieslings. WHat an amazing experience!! The pairings seemed spot on, too. 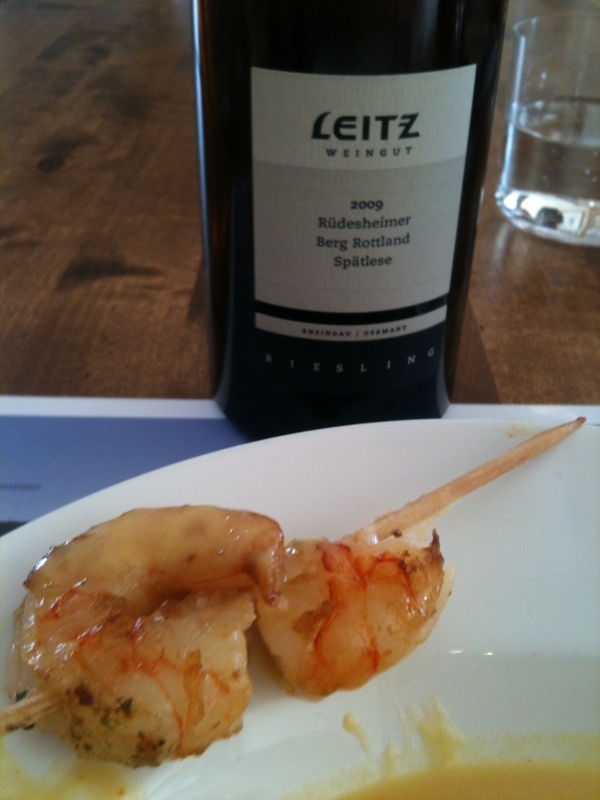 I’ve had a spatlese from Leitz (not sure if the same wine as the one you tried) with an Asian soup (coconut based) in the past – a delightful match and about the only time I’ve really enjoyed a riesling!